The winning solution to the Kaggle Data Science Bowl 2017. A 500,000 US dollar solution! An end-to-end model to detect traffic lines at a speed of 30 f/s on a Titan X GPU. It's potentially useful for autonomous driving systems. Niange Yu, Xiaolin Hu*, Binheng Song, Jian Yang, Jianwei Zhang, “Topic-oriented image captioning based on order-embedding,” IEEE Transactions on Image Processing, vol. 28, no. 6, pp. 2743-2754, 2019. Generate captions for images from different perspectives. Shangqi Guo , Zhaofei Yu, Fei Deng, Xiaolin Hu*, Feng Chen*, “Hierarchical Bayesian inference and learning in spiking neural networks,” IEEE Transactions on Cybernetics, vol. 49, no. 1, pp. 133-145, 2019. Spiking neural networks for Bayesian inference. Fangzhou Liao, Xi Chen, Xiaolin Hu*, Sen Song*, “Estimation of the volume of the left ventricle from MRI images using deep neural networks,” IEEE Transactions on Cybernetics, vol. 49, no. 2, pp. 495-504, 2019. 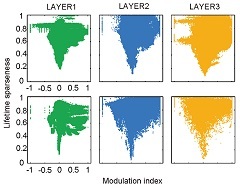 Qingtian Zhang, Xiaolin Hu*, Bo Hong, Bo Zhang, “A hierarchical sparse coding model predicts acoustic feature encoding in both auditory midbrain and cortex,” PLOS Computational Biology, 15(2): e1006766, 2019. We used a hierarchical sparse coding model to reveal acoustic feature encoding mechanism in the auditory system. For example, interestingly, the artificial neurons in top layers exhibited phonetic feature encoding property. We found an important role of response sparseness for these properties to emerge. Wei Feng, Wentao Liu, Tong Li, Jing Peng, Chen Qian, Xiaolin Hu*, “Turbo learning framework for human-object interactions recognition and human pose estimation,” The Thirty-Third AAAI Conference on Artificial Intelligence (AAAI), Honolulu, Hawaii, USA, Jan 27-Feb 1, 2019. Learn two tasks simutaneously, which help each other iteratively. Yi Zhang, Weichao Qiu, Qi Chen, Xiaolin Hu, Alan Yuille*, “UnrealStereo: controlling hazardous factors to analyze stereo vision”, Proc. of the International Conference on 3DVision, Verona, Italy, September 5-8, 2018. A synthetic image generation tool enabling to control hazardous factors, such as making objects more specular or transparent, for developing 3D vision algorithms. Fangzhou Liao, Ming Liang, Yinpeng Dong, Tianyu Pang, Xiaolin Hu*, Jun Zhu, “Defense against adversarial attacks using high-level representation guided denoiser,” Proc. of the 31th IEEE Conference on Computer Vision and Pattern Recognition (CVPR), Salt Lake City, USA, June 18-22, 2018. Winning solution of the NIPS 2017 Competition on Adversarial Attacks and Defenses organized by Google Brain. Yinpeng Dong, Fangzhou Liao, Tianyu Pang, Hang Su, Jun Zhu*, Xiaolin Hu, Jianguo Li, “Boosting adversarial attacks with momentum,” Proc. of the 31th IEEE Conference on Computer Vision and Pattern Recognition (CVPR), Salt Lake City, USA, June 18-22, 2018. Yulong Wang, Hang Su, Bo Zhang, Xiaolin Hu*, “Interpret neural networks by identifying critical data routing paths,” Proc. of the 31th IEEE Conference on Computer Vision and Pattern Recognition (CVPR), Salt Lake City, USA, June 18-22, 2018. We found that images with similar sementic meaning have similar critical routes in deep CNNs. Bo Li, Junjie Yan, Wei Wu, Zheng Zhu, Xiaolin Hu, “High Performance Visual Tracking with Siamese Region Proposal Network,” Proc. of the 31th IEEE Conference on Computer Vision and Pattern Recognition (CVPR), Salt Lake City, USA, June 18-22, 2018. Wentao Liu, Jie Chen, Cheng Li, Chen Qian, Xiao Chu, Xiaolin Hu*, “A cascaded inception of inception network with attention modulated feature fusion for human pose estimation,” The Thirty-Second AAAI Conference on Artificial Intelligence (AAAI), New Orleans, USA, Feb 2-7, 2018. Three techniques for human pose estimation: 1. inception of inception block, 2. attention to individual levels, 3. cascaded network. Study the visual system using deep learning models. Jianfeng Wang, Xiaolin Hu*, “Gated recurrent convolution neural network for OCR,” Advancies in Neural Information Processing (NIPS), Long Beach, USA, Dec. 4-9, 2017. A modified version of our RCNN proposed in 2015. Zekun Hao, Yu Liu, Hongwei Qin, Junjie Yan, Xiu Li, Xiaolin Hu, “Scale-aware face detection,” Proc. of the 30th IEEE Conference on Computer Vision and Pattern Recognition (CVPR), Honolulu, USA, July 21–26, 2017. 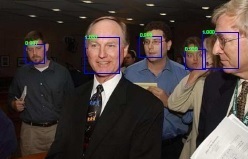 Prior to face detection, use a CNN to predict the scale distribution of the faces. Tiancheng Sun, Yulong Wang, Jian Yang, Xiaolin Hu*, “Convolutional neural networks with two pathways for image style recognition,” IEEE Transactions on Image Processing, vol. 26, no. 9, pp. 4102-4113, 2017. The gram matrix technique proposed by Gatys et al. is used to classify image styles. 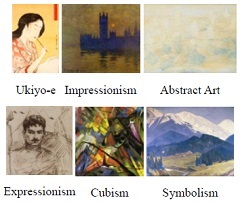 Three benchmark datasets are experimented, WikiPaintings, Flickr Style and AVA Style. J. Wu, L. Ma, X. Hu*, “Delving deeper into convolutional neural networks for camera relocalization,” Proc. of IEEE International Conference on Robotics and Automation (ICRA), Singapore, May 29- June 3, 2017. We present three techniqus for enhancing the performance of convolutional neural networks for camera relocalizationare. F. Liao, X. Hu, S. Song, “Emergence of V1 recurrent connectivity pattern in artificial neural network,”Computational and Systems Neuroscience (Cosyne), Salt Lake City, Feb. 23 - 26, 2017. Y. Zhao, X. Jin, X. Hu*, “Recurrent convolutional neural network for speech processing,” Proc. of the 42nd IEEE International Conference on Acoustics, Speech and Signal Processing (ICASSP), New Orleans, USA, March 5-9, 2017. Applications of recurrent CNN to speech processing. 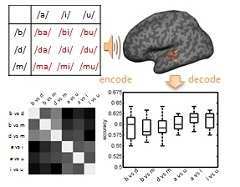 Q. Zhang, X. Hu*, H. Luo, J. Li, X. Zhang, B. Zhang, “Deciphering phonemes from syllables in BOLD signals in human superior temporal gyrus,” European Journal of Neuroscience, vol. 43, no. 6, pp. 773-781, 2016. This is a "mind reading" work. We managed to decode the phonome information from functional magnetic resonance imaging (fMRI) signals of subjects when they listened to nine syllables. The results indicated that phonemes have unique representations in the superior temporal gyrus (STG). We also revealed certain response patterns of the phonomes in STG. H. Qin, J. Yan, X. Li, X. Hu, “Joint Training of Cascaded CNN for Face Detection,” Proc. of the 29th IEEE Conference on Computer Vision and Pattern Recognition (CVPR), Las Vegas, USA, June 26-July 1, 2016, pp. 3456-3465. S. Wang, Y. Yang, X. Hu*, J. Li, B. Xu, “Solving the K-shortest paths problem in timetable-based public transportation systems,” Journal of Intelligent Transportation Systems: Technology, Planning, and Operations, vol. 20, no. 5, pp. 413-427, 2016. An extended version of the IMECS 2012 paper. 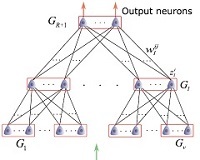 Z. Cheng, Z. Deng, X. Hu, B. Zhang, T. Yang*, “Efficient reinforcement learning of a reservoir network model of parametric working memory achieved with a cluster population winner-take-all readout mechanism,” Journal of Neurophysiology, vol.114, no. 6, 3296-3305, 2015. Learning of a reservoir network for working memory of monkey brain. X. Li, S. Qian, F. Peng, J. Yang*, X. Hu, and R. Xia, "Deep convolutional neural network and multi-view stacking ensemble in Ali mobile recommendation algorithm competition," The First International Workshop on Mobile Data Mining & Human Mobility Computing (ICDM 2015). The team won the Ali competition. Rank 1st over 7186 teams. M. Liang, X. Hu*, B. Zhang, “Convolutional neural networks with intra-layer recurrent connections for scene labeling,” Advances in Neural Information Processing (NIPS), Montréal, Canada, Dec. 7-12, 2015. An application of the recurrent CNN. It achieves excellent performance on the Stanford Background and SIFT Flow datasets. Y. Zhou, X. Hu*, B. Zhang, “Interlinked convolutional neural networks for face parsing,” International Symposium on Neural Networks (ISNN), Jeju, Korea, Oct. 15-18, 2015, pp. 222-231. A two-stage pipeline is proposed for face parsing and both stages use iCNN, which is a set of CNNs with interlinkage in the convolutional layers. M. Liang, X. Hu*, “Recurrent convolutional neural network for object recognition,” Proc. 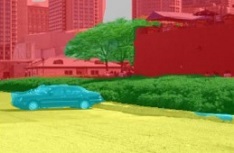 of the 28th IEEE Conference on Computer Vision and Pattern Recognition (CVPR), Boston, USA, June 7-12, 2015, pp. 3367-3375. Typical deep learning models for object recognition have feedforward architectures including HMAX and CNN.This is a crude approximation of the visual pathway in the brain since there are abundant recurrent connections in the visual cortex. We show that adding recurrent connections to CNN improves its performance in object recognition. Humans are able to localize the sounds in the environment. How the locations are encoded in the cortex remains elusive. Using fMRI and machine learning techniques, we investigated how the temporal cortex of humans encodes the 3D acoustic space. M. Liang, X. Hu*, “Predicting eye fixations with higher-level visual features,” IEEE Transactions on Image Processing, vol. 24, no. 3, pp. 1178-1189, 2015. There is a debate about whether low-level features or high-level features are more important for prediction eye fixations. Through experiments, we show that mid-level features and object-level features are indeed more effective for this task. We obtained state-of-the-art results on several benchmark datasets including Toronto, MIT, Kootstra and ASCMN at the time of submission. M. Liang, X. Hu*, “Feature selection in supervised saliency prediction,” IEEE Transactions on Cybernetics, vol. 45, no. 5, pp. 900-912, 2015. There is a trend for incorporating more and more features for supervised learning of visual saliency on natural images. We find much redundancy among these features by showing that a small subset of features leads to excellent performance on several benchmark datasets. In addition, these features are robust across different datasets. Q. Zhang, X. Hu*, B. Zhang, “Comparison of L1-Norm SVR and Sparse Coding Algorithms for Linear Regression,” IEEE Transactions on Neural Networks and Learning Systems, vol. 26, no. 8, pp. 1828-1833, 2015. The close connection between the L1-norm support vector regression (SVR) and sparse coding (SC) is revealed and some typical algorithms are compared for linear regression. The results show that the SC algorithms outperform the L1-SVR algorithms in efficiency. The SC algorithms are then used to design RBF networks, which are more efficient than the well-known orthogonal least squares algorithm. T. Shi, M. Liang, X. Hu*, “A reverse hierarchy model for predicting eye fixations,” Proc. of the 27th IEEE Conference on Computer Vision and Pattern Recognition (CVPR), Columbus, USA, June 24-27, 2014, pp. 2822-2829. 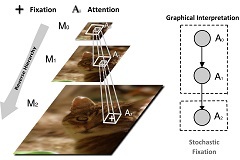 We present a novel approach for saliency detection in natural images. The idea is from a theory in cognitive neuroscience, called reverse hierarchy theory, which proposes that attention propagates from the top level of the visual hierarchy to the bottom level. X. Hu*, J. Zhang, J. Li, B. Zhang, “Sparsity-regularized HMAX for visual recognition,” PLOS ONE, vol. 9, no. 1, e81813, 2014. We show that a deep learning model with alternating sparse coding/ICA and local max pooling can learn higher-level features on images without labels. After training on a dataset with 1500 images, in which there were 150 unaligned faces, 6 units on the top layer became face detectors. This took a few hours on a laptop computer with 2 cores, in contrast to Google's 16,000 cores in a similar project. X. Hu*, J. Zhang, P. Qi, B. Zhang, “Modeling response properties of V2 neurons using a hierarchical K-means model,” Neurocomputing, vol. 134, pp. 198-205, 2014. We show that the simple data clustering algorithm, K-means can be used to model some properties of V2 neurons if we stack them into a hierarchical structure. It is more biologically feasible than the sparse DBN for doing the same thing because it can be realized by competitive hebbian learning. This is an extended version of our ICONIP'12 paper. P. Qi, X. Hu*, “Learning nonlinear statistical regularities in natural images by modeling the outer product of image intensities,” Neural Computation, vol. 26, no. 4, pp. 693–711, 2014. This is a hierarchical model aimed at modeling the properties of complex cells in the primary visual cortex (V1). It can be regarded as a simplified version of Karklin and Lewicki's model published in 2009. P. Qi, S. Su, X. Hu*, “Modeling outer products of features for image classification,” Proc. of the 6th International Conference on Advanced Computational Intelligence (ICACI), Hangzhou, China, Oct. 19-21, 2013, pp.334-338. 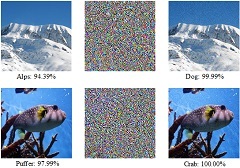 The method described in our 2014 Neural Computation paper was applied on SIFT features for image classification (in the SPM framework), which achieved higher accuracy on two datasets than traditional sparse coding. M. Liang, M. Yuan, X. Hu*, J. Li and H. Liu, “Traffic sign detection by ROI extraction and histogram features-based recognition,” Proc. of the 2013 International Joint Conference on Neural Network (IJCNN), Dallas, USA, Aug. 4-9, 2013, pp. 739-746. The paper describes our method used for the IJCNN 2013 German Traffic Sign Detection Competition. This method achieved 100% accuracy on the Prohibitory signs! Y. Wu, Y. Liu, J. Li*, H. Liu, X. Hu, “Traffic sign detection based on convolutional neural networks,” Proc. of the 2013 International Joint Conference on Neural Network (IJCNN), Dallas, USA, Aug. 4-9, 2013, pp. 747-753. The paper describes another method used for the IJCNN 2013 German Traffic Sign Detection Competition. This method ranked 2nd and 4th on the Mandatory and Danger signs, respectively! Y. Yang, Q. 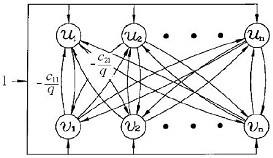 He, X. Hu*, “A compact neural network for training support vector machines,” Neurocomputing, vol. 86, pp. 193-198, 2012. A simple analog circuit is proposed for solving SVM. It takes advantages of the nonlinear properties of operational amplifiers. X. Hu* and J. Wang, “Solving the assignment problem using continuous-time and discrete-time improved dual networks,” IEEE Transactions on Neural Networks and Learning Systems, vol. 23, no. 5, pp. 821-827, 2012. Assign n entities to n slots and each assignment has a cost. X. Hu*, P. Qi, B. Zhang, “Hierarchical K-means algorithm for modeling visual area V2 neurons,” Proc. of 19th International Conference on Neural Information Processing (ICONIP), Doha, Qatar, Nov. 12-15, 2012, pp. 373-381. An extended version is in our 2014 neurocomputing paper. Y. Yang, S. Wang, X. Hu*, J. Li, B. Xu, “A modified k-shortest paths algorithm for solving the earliest arrival problem on the time-dependent model of transportation systems,” Proc. of International MultiConference of Engineers and Computer Scientists (IMECS), Hong Kong, March 14-16, 2012, pp. 1560-1567. If one wants to go to city B from city A by train and wants to arrive at A as early as possible, could you provide some "good" itinararies? Here is a fast solution. It gives you K best solutions for any citis A and B of mainland China within 30ms on a small server when K<100. X. Hu, J. Wang, “Solving the assignment problem with the improved dual neural network,” Proc. of 8th International Symposium on Neural Networks, Guilin, China, May 29-June 1, 2011, pp. 547-556. X. Hu and B. Zhang, “A Gaussian attractor network for memory and recognition with experience-dependent learning,” Neural Computation, vol. 22, no. 5, pp. 1333-1357, 2010. X. Hu, C. Sun and B. Zhang, “Design of recurrent neural networks for solving constrained least absolute deviation problems,” IEEE Transactions on Neural Networks, vol. 21, no. 7, pp. 1073-1086, July 2010. X. Hu, “Dynamic system methods for solving mixed linear matrix inequalities and linear vector inequalities and equalities,” Applied Mathematics and Computation, vol. 216, pp. 1181-1193, 2010. X. Hu and B. Zhang, “An alternative recurrent neural network for solving variational inequalities and related optimization problems,” IEEE Transactions on Systems, Man and Cybernetics - Part B, vol. 39, no. 6, pp. 1640-1645, Dec. 2009. X. Hu and B. Zhang, “A new recurrent neural network for solving convex quadratic programming problems with an application to the k-winners-take-all problem,” IEEE Transactions on Neural Networks, vol. 20, no. 4, pp. 654–664, April 2009. X. Hu, “Applications of the general projection neural network in solving extended linear-quadratic programming problems with linear constraints,” Neurocomputing, vol. 72, no. 4-6, pp. 1131-1137, Jan. 2009. X. Hu, J. Wang and B. Zhang, “Motion planning with obstacle avoidance for kinematically redundant manipulators based on two recurrent neural networks,” Proc. of IEEE International Conference on Systems, Man, and Cybernetics, San Antonio, USA, Oct. 2009, pp. 143-148. X. Hu, B. Zhang, “Another simple recurrent neural network for quadratic and linear programming”, Proc. of 6th International Symposium on Neural Networks, Wuhan, China, May 26-29, 2009, pp. 116-125. X. Hu and J. Wang, “An improved dual neural network for solving a class of quadratic programming problems and its k-winners-take-all application,” IEEE Transactions on Neural Networks, vol. 19, no. 12, pp. 2022–2031, Dec. 2008. X. Hu, Z. Zeng, B. Zhang, “Three global exponential convergence results of the GPNN for solving generalized linear variational inequalities”, Proc. of 5th International Symposium on Neural Networks, Beijing, China, Sep. 24-28, 2008. X. Hu and J. Wang, “Design of general projection neural networks for solving monotone linear variational inequalities and linear and quadratic optimization problems,” IEEE Transactions on Systems, Man and Cybernetics - Part B, vol. 37, no. 5, pp. 1414-1421, Oct. 2007. X. Hu and J. Wang, “Solving generally constrained generalized linear variational inequalities using the general projection neural networks,” IEEE Transactions on Neural Networks, vol. 18, no. 6, pp. 1697-1708, Nov. 2007. X. Hu and J. Wang, “A recurrent neural network for solving a class of general variational inequalities,” IEEE Transactions on Systems, Man and Cybernetics - Part B, vol. 37, no. 3, pp. 528-539, 2007. X. Hu and J. Wang, “Solving the k-winners-take-all problem and the oligopoly Cournot-Nash equilibrium problem using the general projection neural networks.” Proc. of 14th International Conference on Neural Information Processing (ICONIP), Kitakyushu, Japan, Nov. 13-16, 2007, pp. 703-712. S. Liu, X. Hu and J. Wang, “Obstacle Avoidance for Kinematically Redundant Manipulators Based on an Improved Problem Formulation and the Simplified Dual Neural Network”, Proc. of IEEE Three-Rivers Workshop on Soft Computing in Industrial Applications, Passau, Bavaria, Germany, August 1-3, 2007, pp. 67-72. X. Hu and J. Wang, “Convergence of a recurrent neural network for nonconvex optimization based on an augmented Lagrangian function,” Proc. of 4th International Symposium on Neural Networks, Part III, Nanjing, China, June 3-7, 2007. X. Hu and J. Wang, “Solving pseudomonotone variational inequalities and pseudoconvex optimization problems using the projection neural network,” IEEE Transactions on Neural Networks, vol. 17, no. 6, pp. 1487-1499, 2006. X. Hu and J. Wang, “Solving extended linear programming problems using a class of recurrent neural networks,” Proc. of 13th International Conference on Neural Information Processing, Part II, Hong Kong, Oct. 3-6, 2006. © 2019 Xiaolin Hu. All rights reserved.